The Lebanese House Speaker, Nabih Berri, met at his Ain-el-Tineh residence on Friday with Egyptian Foreign Minister, Sameh Shoukry, accompanied by Egypt’s Ambassador to Lebanon, Nazih al-Najjari, with talks featuring high on the bilateral relations between the two countries and the latest regional developments. 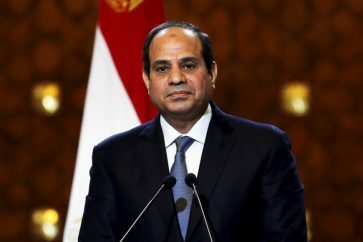 “The Egyptian-Lebanese ties are distinguished with the presence of strong will, on both sides, to keep up work at the political, economic and social levels,” Shoukry told reporters following the meeting. “I also reiterated Egypt’s concern with Lebanon’s stability and sovereignty, and its capacity to overcome all challenges,” he said. “We will maintain communication with all the Lebanese political sides, and we will work on consolidating the bilateral ties,” he added.